The answer resides mainly in understanding the institutional causes that hinder TVR to fulfil its mission as a public informative television, addressing a wide audience and the editorial independence crucial to this mission, as Art. 1 of Law 41 stipulates. It is way beyond a financial crisis. There is a deficient institutional design concerning certain key aspects, primarily the lack of stipulations ensuring the appropriate distance between the executive team and politicians so that the management has the power to neutralize the political interference and to develop credible plans in front of the editorial team. Here within there are other two equally important factors (the financial aspect and the editorial and rating performance). It is counterproductive to approach this issue as a crisis generated by the lack of morality of the politicians who interfere, of the TVR journalists who serve different politicians or of the politically appointed general managers in search for sinecures. There are no clear specifications or limits concerning the parliamentary control, as it would be recommended and recommendable. Due to the scarce performance and evaluation criteria, the dismissals are arbitrary and the control is exercised only from the political level, therefore ineffectively as far as financial matters are concerned. Thus, the executive board cannot act as a buffer between politics and journalistic activity as it owns negligible power when confronted with political pressure (they may be at any point dismissed by the ones appointing them). The board is equally inept in front of the journalists from TVR who perceive the politicians as the actual authority and who cannot rely for too long on a politically appointed management lacking a long-term perspective. The law governing the functioning of the public television (Law 41/1994): which are the detrimental effects of the institutional design regulated by this law that lead to an inefficient governing both financially and editorially as well as to a low rating (B and C)? The financial status of TVR: what do the analysis of the activity reports of TVR, corroborated with the audit reports and the public reports of the Romanian Court of Accounts show? The actual part the public media should play within the democratic societies (compared to what is happening in other European countries), regarding the rating, the commitment to provide quality information to the entire community and to promote the social cohesion, as the Parliamentary Assembly of the European Council stipulates. A. The Law according to which the public television is organized and operates (Law 41/1994, updated) is deficient on several grounds specifically as it does not stipulate a specific format for parliamentary control, therefore it allows arbitrary decisions rather than oversight. On one hand, this puts the TVR management in a precarious situation and in the impossibility of acting as a guarantor of the editorial independence stipulated by the law, and, on the other hand, it does not provide an efficient financial control. a) Rejecting the annual activity report of SRTV automatically leads to the Council’s dismissal, yet the law does not require the backing of the decision and does not stipulate terms or standards for its rejection. b) Therefore, although the mandate span of the Board members and President is 4 years, the board is actually often changed before term – only one of the presidents appointed since 1989 (out of a total of 12) conducted his mandate all the way. The average mandate span had been two years and one month but dropped to one year and eight months after 2010. These figures do not take into account nine interim mandates from the total of twenty, which makes the fragmentation even more extreme. Even in countries with similar public television systems, the mandate span is significantly higher, amounting to eleven years and four months in Germany and to eight years and nine months in Norway. c) The autonomy of the board members towards the ones appointing them is limited even more by the fact that the law stipulates that any member of the board may be dismissed on the grounds of unfitting activity, yet the criteria in this respect are not further defined. d) Moreover, the financing pattern generates uncertainty and precarity: although it is financed by a licence fee and not by a direct grant (which would imply a potential complete control from the government), TVR lacks the capacity to negotiate the fee that is not automatically indexed, but which can be decided upon annually through governmental decision (the fee has remained unchanged since 2003). 2. 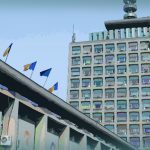 The uncertain legal status of SRTV: The Romanian Court of Accounts, in the 2012 Report, draws the attention that, because of the unclear legal statute of SRTV, the incomes from the TV fee are not subject to the same rigor as the public taxes. Moreover, the Court of Accounts also states, in its 2006 Public Report, the sale of a building by SRTV through a real estate exchange contract with the Cluj-Napoca Local Council and the creation of a gap within the state budget of 1,625.91 thousand lei. This happened although the Law 41/1994 stipulates at article 37 that the TVR patrimony and assets (buildings, areas and lands) are in its use, thus TVR has no ownership right over them and they are part of the national cultural patrimony. a) It is in the 2012 Report that the Court of Accounts also mentioned the insufficiency of the legal framework that leads to certain contracts for collecting the TV fee which are not profitable for SRTV (like the one with Electrica SA), with big commissions, but also the fact that, through the privatization of the latter, there is no more legal obligation to ensure the fee collection. b) The fact that the fee has not been revised for 13 years contributed to the intensification of the financial problems of the public television, as the management of TVR has emphasized on several occasions. It represents the result of the existing legal framework that leaves space for the arbitrary. In compliance with the law, the amount and the procedure for the tax collection are settled through Government Decision and there are not any stipulations to regulate the periodicity and the terms under which changes can be done. In other words, the level of the fee is settled in an arbitrary manner, according to the will of the government. 3. The option of insolvency: In the current form of the law 41/1994 insolvency cannot be called for, as this thing is not stipulated by the law. There are discussions between the Government and the Parliament for the expansion of the board’s duties. 4. Problems in the annual reports, discrepancies and minimum transparency: although the annual reports of TVR are the main control mechanism for the Parliament and the citizens and the law stipulates that they must become public, only a part of them are available, complete and with correct data. There are multiple inconsistencies in the data reported by TVR and many doubts regarding their review by the Parliament, who seems to use the reports more like political control mechanism of the television’s management or even for “settling of scores” with the political opponents. More information and examples in the detailed analysis. Decline in audience: A study of the European Broadcasting Union on the evolution of the main news shows of the public televisions in several countries across Europe revealed the fact that during ten years, 2001-2010, the overall market shares have dropped. The highest decline rate was recorded mostly in Eastern and Central Europe, where the shares decreased by 14.2%, while the best performance among the public televisions was reached in the Nordic countries. Within this general market context, TVR has the lowest market share across Europe, as measured in the respective countries. The most recent data extracted from the European Audio Visual Observatory for 2014, place the Romanian Television (with all its channels) to 5.5% (daily share), after Macedonia (6.7%), Greece (7.2%), Bulgaria (7.9%) and Turkey (9.7%). Within Romania, the TVR channels ranked 6th in 2014 in terms of the rating share measured across the whole day, but also for Prime Time (07:00-11:00 PM), the time slot when the TV stations usually place their best shows. This further denotes a lack of reference shows, able to attract high audience, doubled by a low performance. Moreover, an analysis of the public television market share for a 10 – year period indicates the accelerated drop from 29.1% in 2004, to 7.1% in 2008 and to 5.5% in 2014. The top is led by two Nordic countries, Denmark where the public television has a market share of 68.5%, followed by Iceland (58.5%) and Great Britain (47.9%). 2. Low performance evaluations: TVR is less appreciated than the majority of the European public televisions, on indicators of trust, but also diversity of the shows, quality and content substance or level of interest produced among the regular audience. When it comes to, for example, providing reliable information or resisting the government influence, Romania has similar rates to countries like Serbia or Bulgaria, but much lower than the ones from Western-European countries like Germany or Great Britain. The experts estimate that the TVR programs are more diverse than the ones of the private stations, but are rather dull for the broad public. Experts from other states consider that politics or public policies are approached more thoroughly by the public television compared to other stations. On this matter, Romania ranks similarly to the media in Poland, Slovakia or Hungary but significantly lower than the western states. Although the experts consider that TVR relies less on sensationalism and shows more concern for the culture of the ethnic minorities than other stations, for most of the other indicators the Romanian Public Television proves, in their opinion, mediocre or of lower quality, compared to the public TV stations across Europe. The lack of regulations aimed to protect the public television from political pressure and interests hinders its independence and thus its mission. This is pointed out by several comparative studies regarding public televisions in Europe and worldwide where TVR ranks at the bottom of the list. It does not come as a surprise, the frequent changes in the television’s management come shortly after the settling in of a new government, a routine that prevents from making the members of the board more responsible, providing a long-term vision and the genuine possibility of applying a strategy to ensure a proficient institutional and financial management (BBC operates on the grounds of a book that is revised every 10 years, after a consistent report from the Government which ensures the independence of BBC, enumerates the responsibilities of the executive board and of the trust, establishes the objectives regarding the public interest). Moreover, the worsening of the financial situation of SRTV during the past years has become a facile argument in rejecting the annual reports and the dismissal of the management, shifting the center of the discussion regarding the problems of TVR mainly in the financial area and transferring a great deal of the responsibility and sanctions towards the TVR management. The law makers have no actual motivation to take responsibility for the initiatives requested several times both by the SRTV management, as well as by other institutions, for the improvement of the under-developed legal framework which fuel the faulty management of the public television.